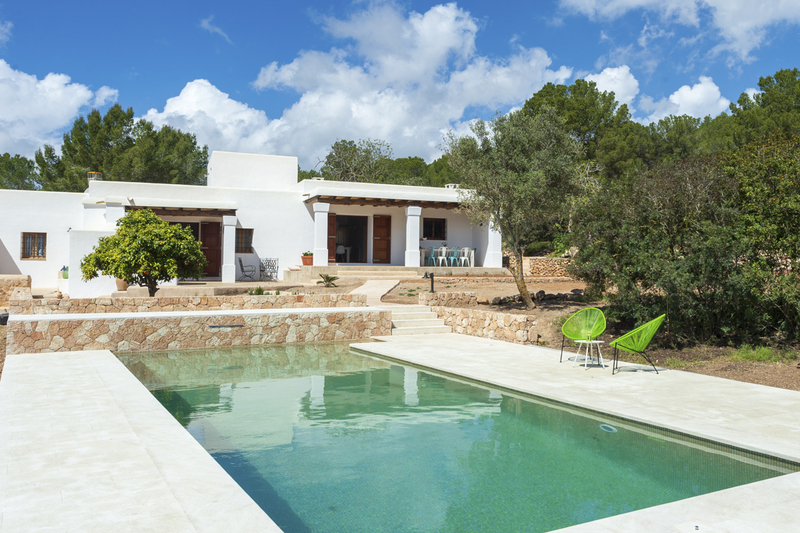 With nothing but lush trees and rolling countryside as its surroundings and enjoying views to the sea on the horizon, Villa Clover is an idyllic villa escape in one of the most beautiful areas of Ibiza. 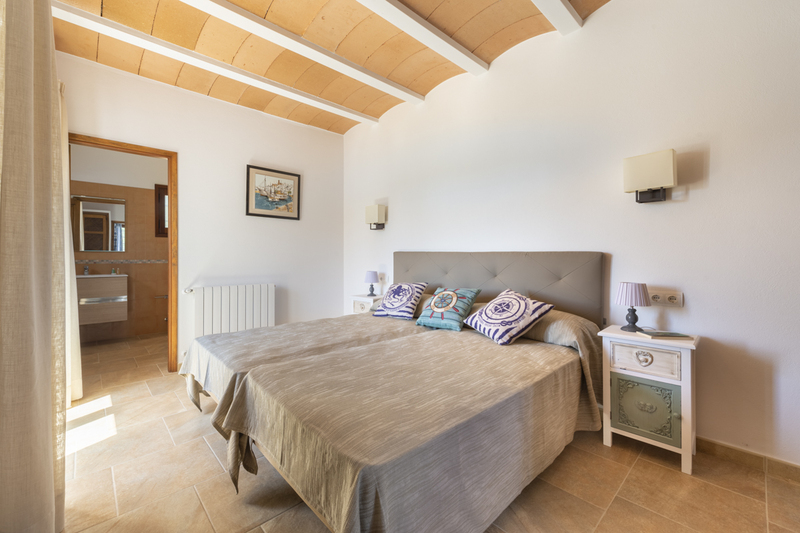 A traditional finca beautifully restored into a luxurious villa, Villa Clover has retained much of its original character and features for a charming and family-friendly villa. 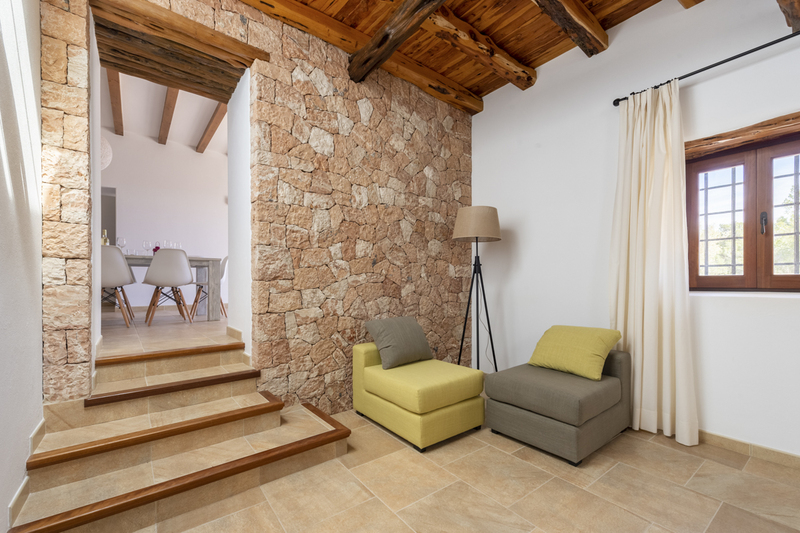 The white walls make for a cool feel throughout and the abundance of natural materials, such as wood and marble, bring the outside in. 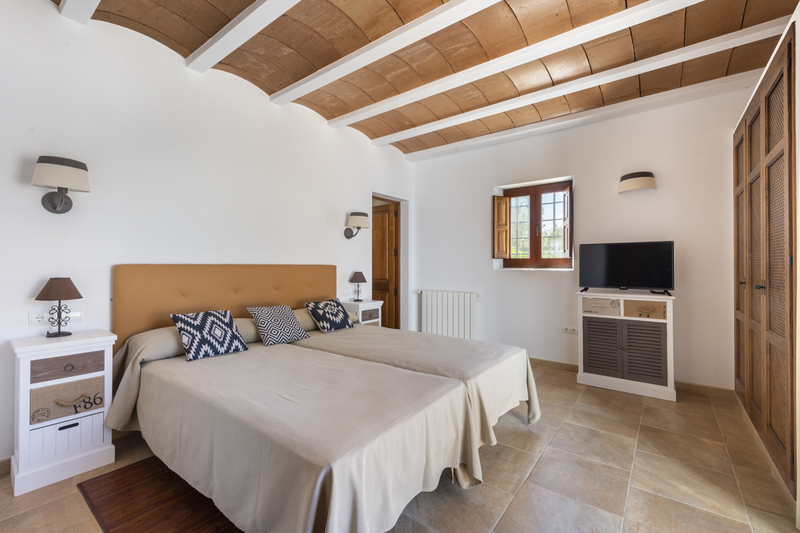 Villa Clover is comprised of a main villa and an annex. 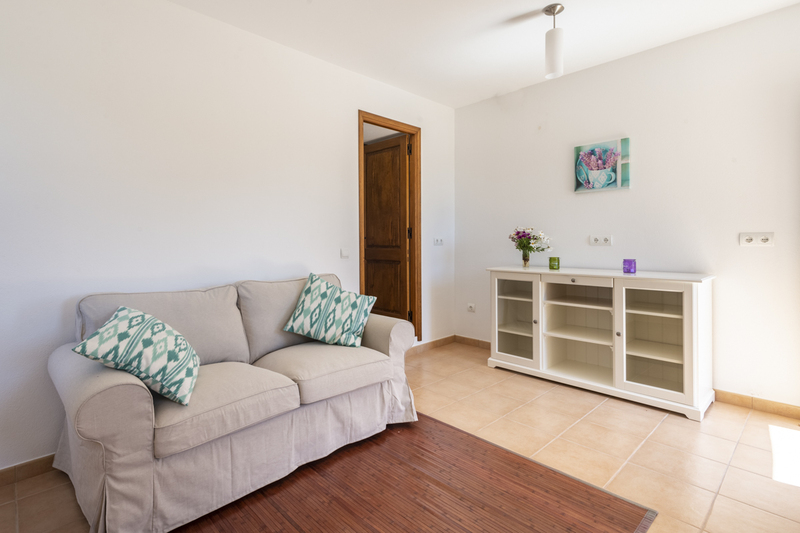 Within the villa is a wonderfully cosy living room which has two large sofas and a television for enjoying evenings in. A few steps up and you’re in a spacious dining room with a large table that seats up to 10 guests. 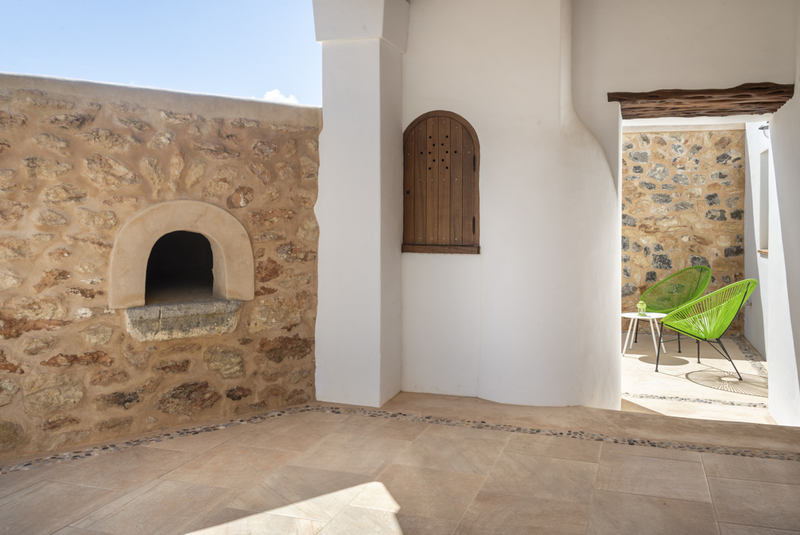 A feature fireplace adds to the sense of history in the room and large doors open onto the outside space. 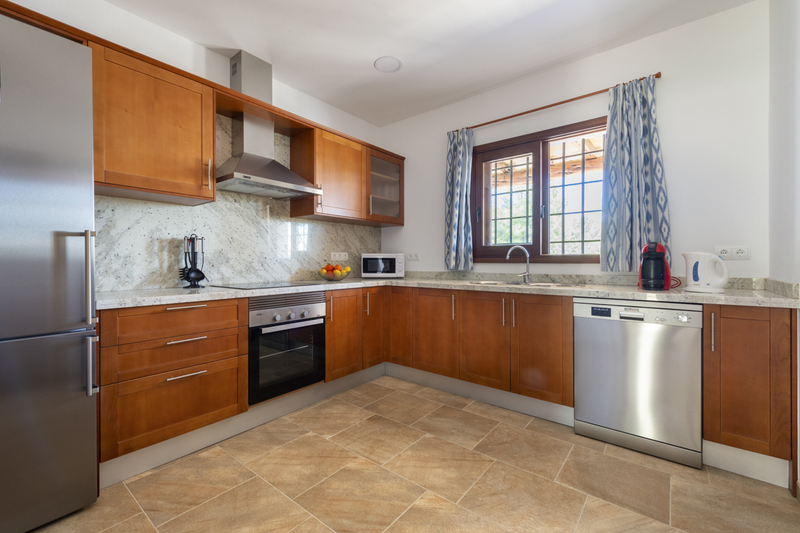 The fully-equipped kitchen has all the facilities you could need, with additional features such as a pantry and laundry room with washing machine and dryer. There’s also a toilet for extra convenience. 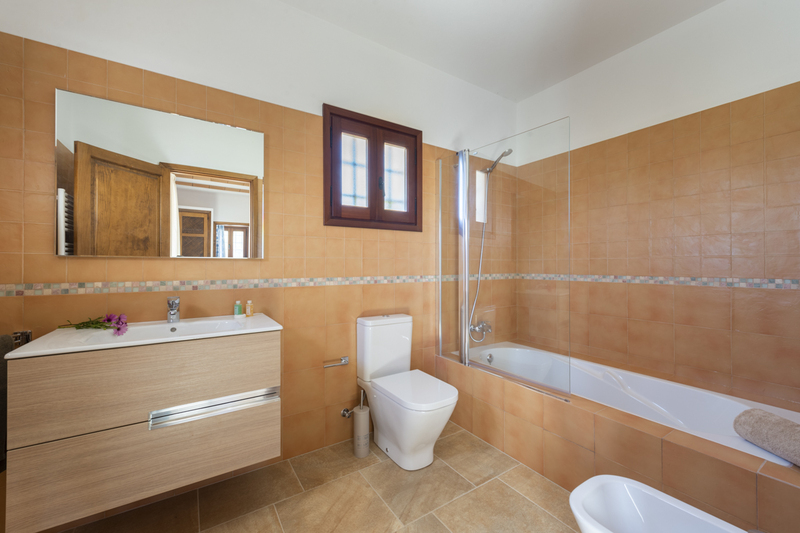 There are four bedrooms in the villa, with one being a generous double that features an ensuite bathroom with shower. 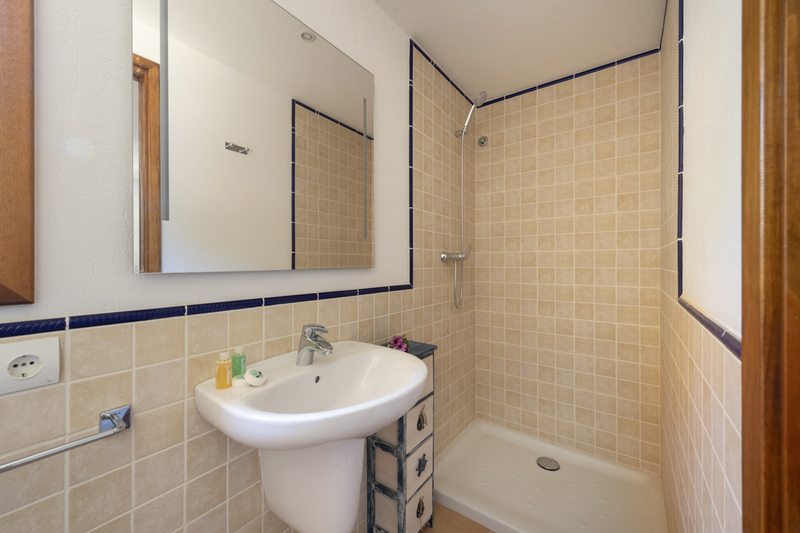 The other three bedrooms each have two single beds, with two having an ensuite bathroom with shower or bathtub. 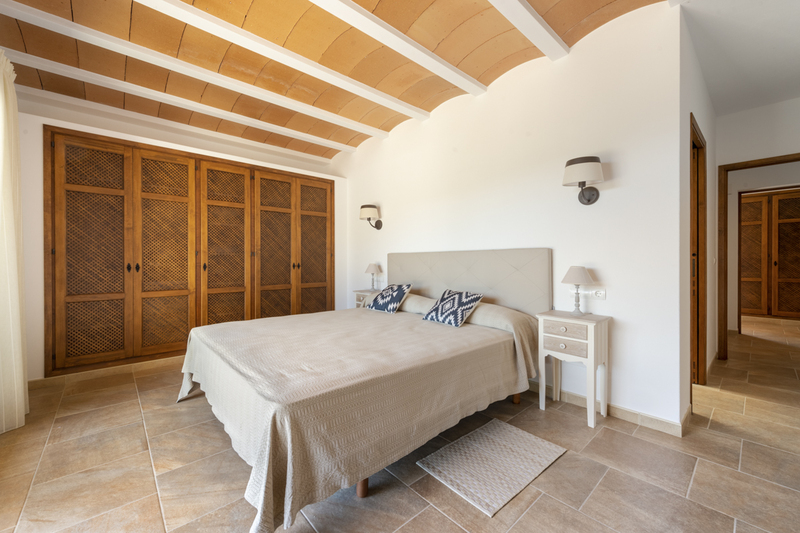 The bedroom with the ensuite shower also enjoys access to a terrace with outdoor furniture. 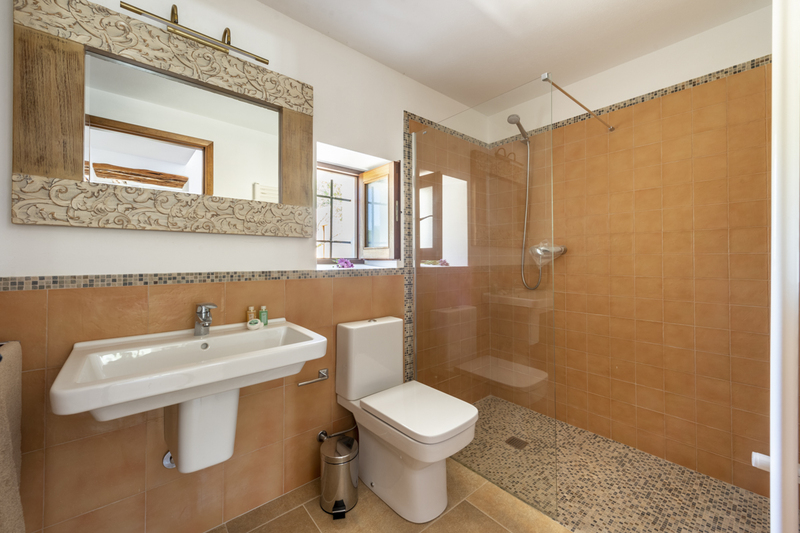 There’s a beautiful bathroom with shower for use by all guests. 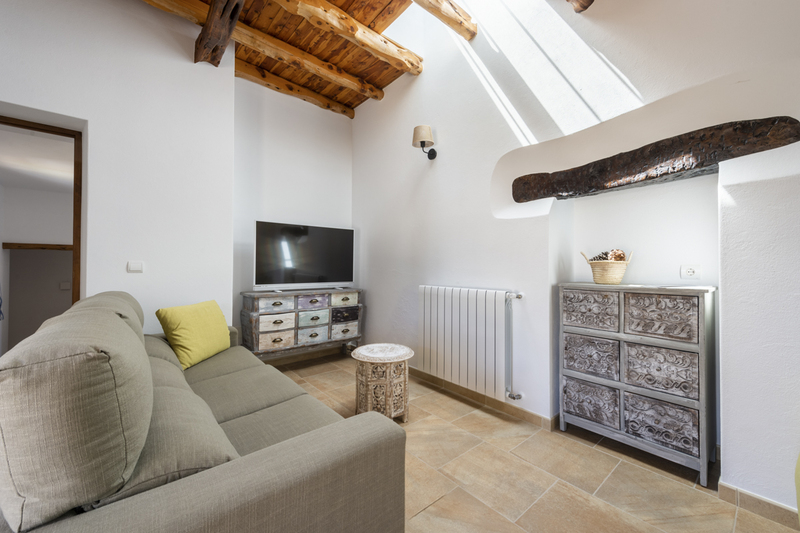 The annex is a charming brick structure and features a small living room, a bedroom with double bed and ensuite bathroom with shower. There’s also access to a private terrace. 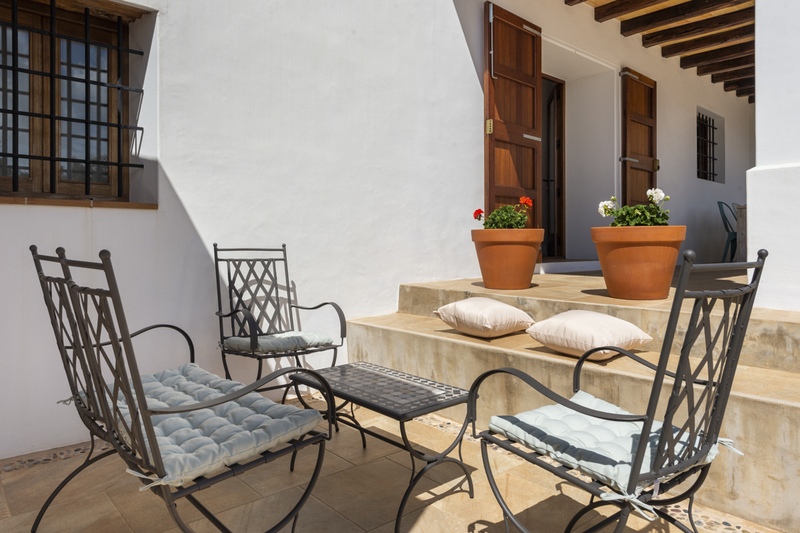 There are several terraces to the main villa, providing flexible seating and dining options. 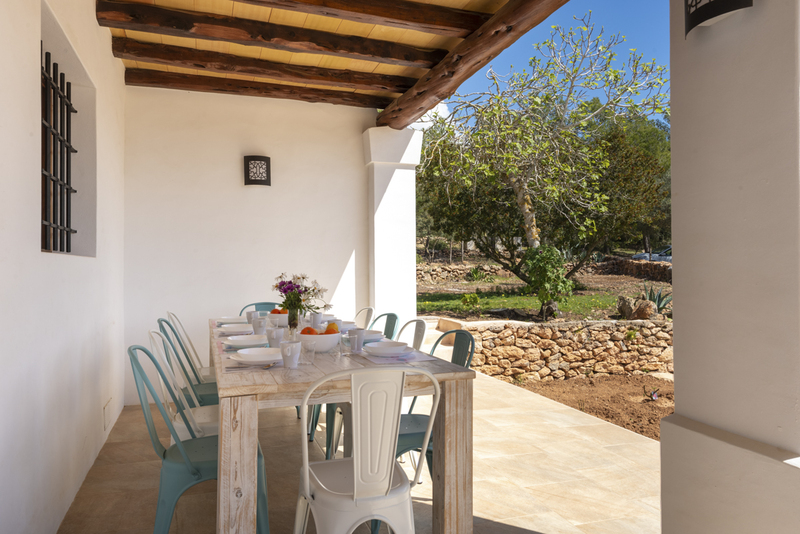 An outdoor dining table offers up to 10 guests the chance to enjoy al fresco meals with stunning views of the garden. 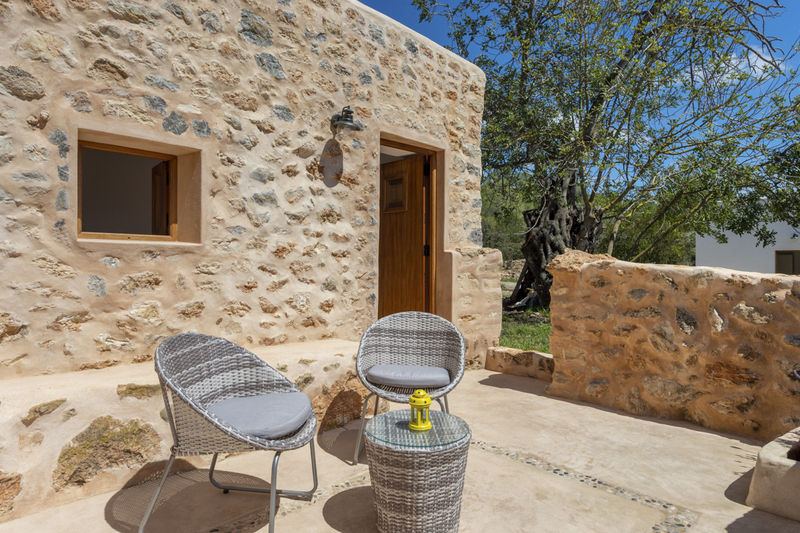 Within the gardens is a private swimming pool and terrace with sun loungers, as well as a partially-covered area with dining table and chairs and an impressive built-in barbecue. 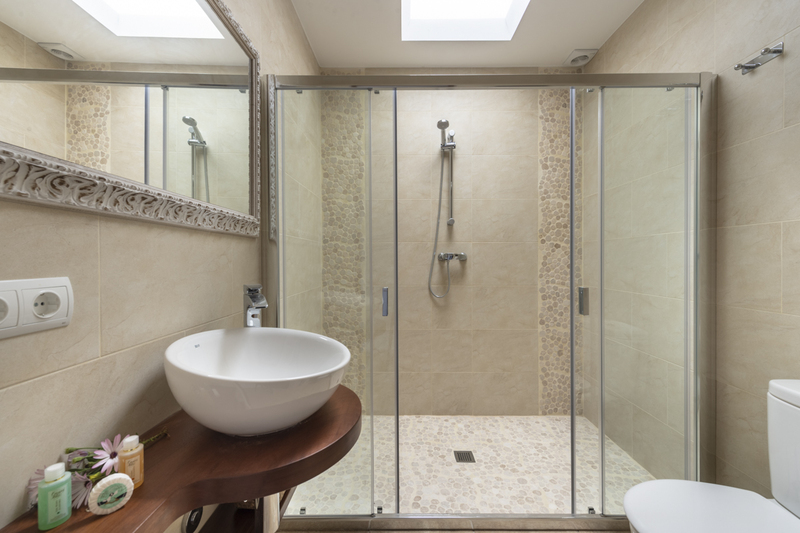 An outdoor shower provides extra convenience after a dip in the pool or to simply refresh after a long afternoon of enjoying the extensive gardens. The picturesque village of San José is under a 10-minute drive away from the villa and is the best place for stocking up on essentials and shopping for groceries. With a quiet and easy-going atmosphere, it’s a great place to get a feel for the culture as you rub shoulders with the locals. A common feature in many Ibizan villages, the pretty whitewashed church is one of the most attractive sites in San José. 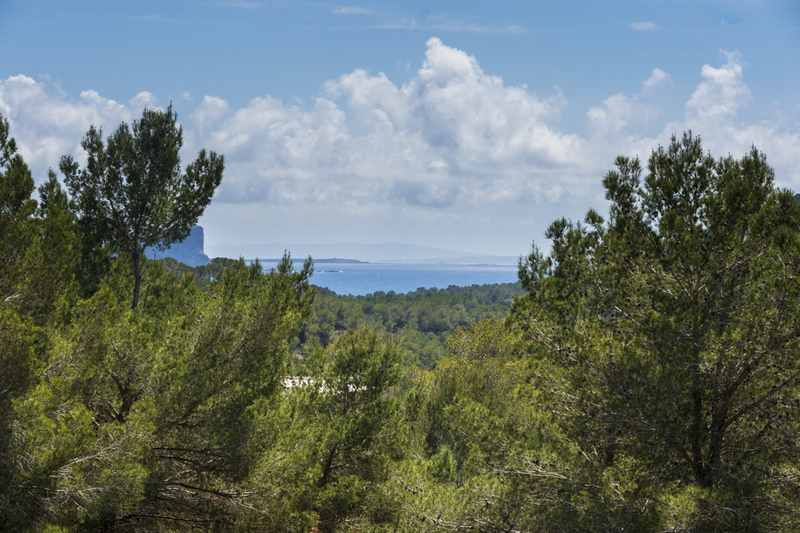 If you climb to the top of the church you’ll get some stunning views all the way to Ibiza Town and over the sea. Browse the good choice of shops and boutiques to buy souvenirs and local homemade goods. 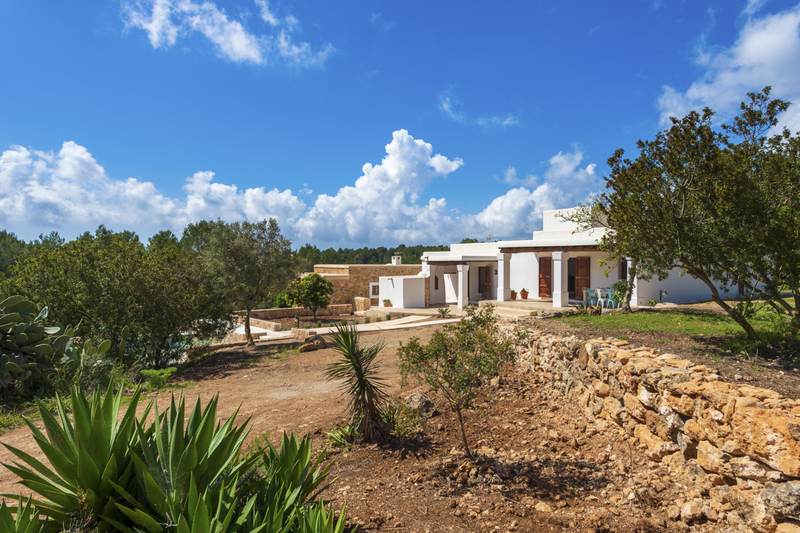 Surprisingly for a small village, there’s also a large range of tavernas and restaurants on offer. For a day out at the beach, drive 10 minutes south and you’ll reach Cala Jondal. A mixture of beautiful sands, turquoise waters and pine-covered cliffs, it’s a beautiful spot for all the family to enjoy. Relax on the beach or take advantage of the clear waters with some swimming or snorkelling. You can also hire a pedalo and take to the sea to enjoy the area from a different perspective. 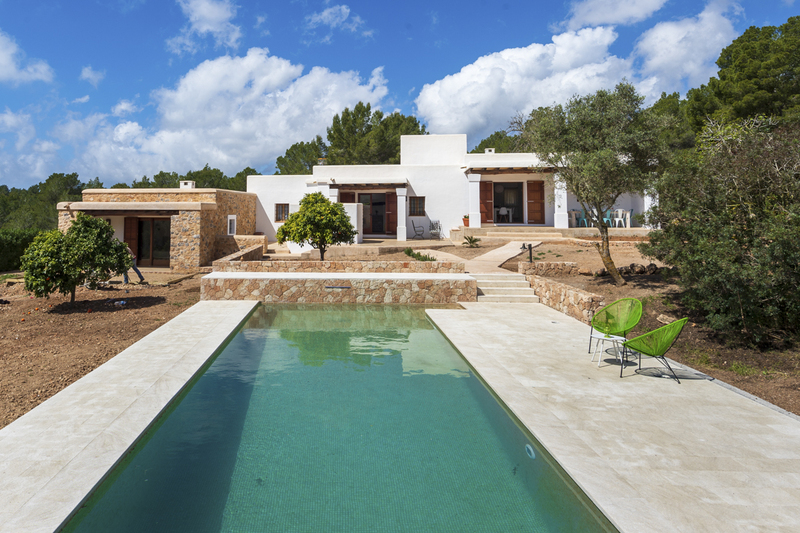 Ibiza Town, the island’s capital, is only 15 minutes away by car. 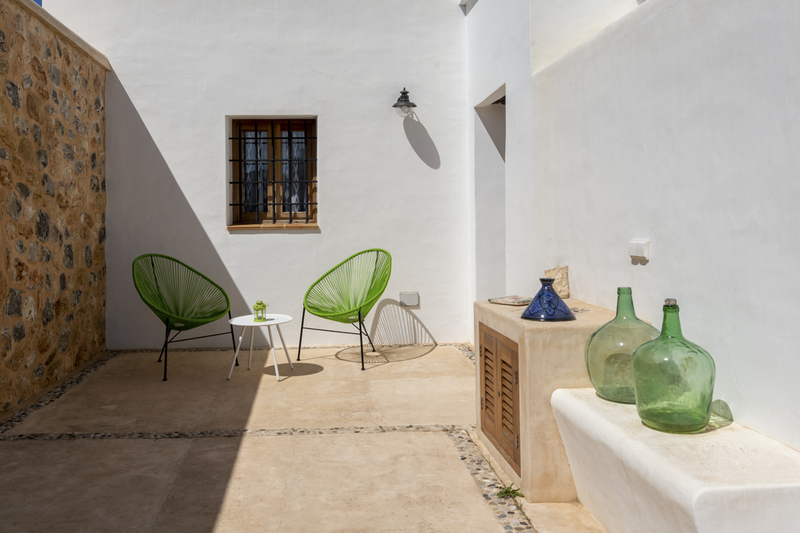 Whether it’s the old town of Dalt Vila with its winding cobbled streets lined with religious sites and views down over the main town and harbour, or the contemporary Ibiza full of boutiques and bars - there’s something for everyone here.